Constrained by population densities and interconnection capacity, most optimal solar sites in the Northeast have already been developed, leaving more challenging landscapes necessitating site-specific designs. 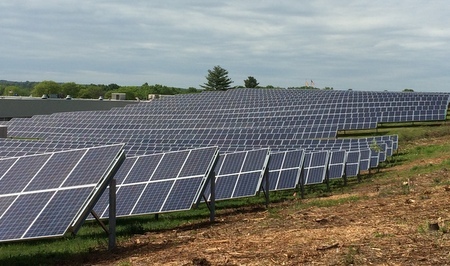 The 4.4-MW Charlton Solar plant in Massachusetts, one of two “managed growth” projects built in 2014 that required creative engineering and operational solutions. Steep slopes and a ledge needed blasting, complex drainage solutions were implemented to control storm water and innovative construction management enabled swift installation on undulating terrain. Despite challenges, Charlton Solar took just five months to complete after acquisition closing. Its success demonstrates solar’s readiness to curb surging energy costs in the region. 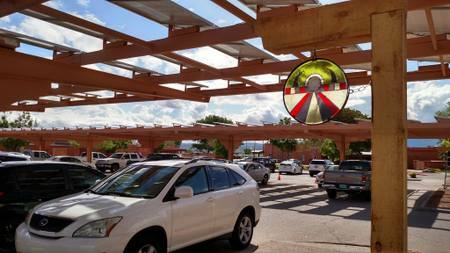 You’ve seen solar carports, probably many of them, but you haven’t seen solar carports like this. The Santa Ana Golf Club solar carport epitomizes the balance of form and function. This solar carport consists of two structures, each spanning 336-ft in length by 38-ft width, with a total of 840 310-watt solar modules and utilizes the solar modules to generate energy while simultaneously offering guests a shaded area to park their cars during the day. Twenty-eight steel columns span the structure, consisting of 26 bays, each with an LED light to softly light up the structure at night. The minimalist design, beautifully integrated Spanish-style steel corbels, locally sourced hand-fused glass emblems of the Santa Ana Golf Club logo and a custom color pallet create a seamless integration with the surrounding buildings. 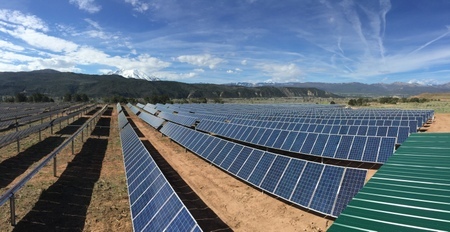 The Sunnyside Ranch Community Solar Array boasts a single-axis tracking system and is located adjacent to the now-capped Carbondale Landfill in the beautiful Roaring Fork Valley in Western Colorado. This community solar project was developed in conjunction with Holy Cross Energy, the local electric cooperative. Holy Cross customers purchase a percentage of the project and are credited on their electric bill for power generated by their portion of the array (and other gear, of course). 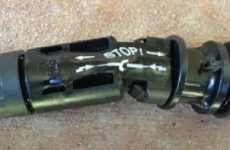 The project sold out quickly to owners including Eagle County, Alpine Bank, the Town of Carbondale and several other participants. This community solar concept allows owners to generate power at a site with excellent solar access and with no visual issues. The project is maintained and insured by the developer, thus eliminating peripheral and long-term concerns. This model is being replicated throughout the U.S. and provides another avenue to participate in the solar electric solution. 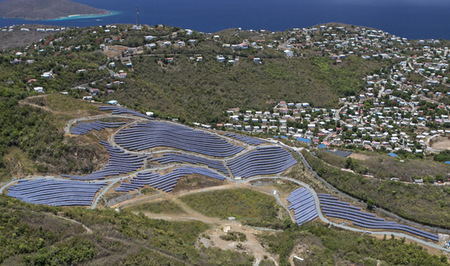 USVI Solar I is the largest PV plant in the US Virgin Islands and is expected to generate approximately 7.9 million kWh of electricity annually. The array is the hallmark product of the island’s sole utility, the Virgin Islands Water and Power Authority’s (WAPA), sustainability initiative. The array is situated on a steep hill that was unusable for other development, and it utilized innovative ground screw technology to connect directly to the rock face of the hill. Additionally, the system uses a distributed string inverter architecture, with 96 separate inverters connected to 10 transformers. Since the array is located in an area prone to hurricanes, the smaller inverters will allow the site to remain online in the case of external or equipment faults. The project site is a challenging location to install a solar array due to the steep hillside terrain, as well as the island’s heavy rainfall and strong winds of approximately 195 mph. Because the project makes up a significant percentage of the generation connected to the local grid, additional studies were required to ensure the plant would not destabilize the grid. 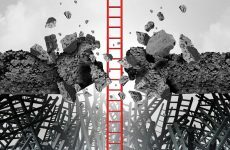 To overcome these obstacles, the group worked in close partnership with structural engineers, civil engineers and local authorities to develop products that could resist the extreme weather, prevent destabilization of the grid, and protect the site from erosion. Clark Public Utilities Community Solar Project allows customers who cannot or choose not to acquire PV systems on their own to purchase solar power directly from Clark Public Utilities. Participants funded the five solar projects via participation fees and in turn will receive all the benefits produced by the solar arrays. 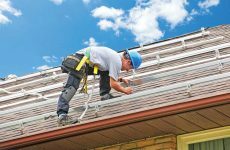 Participants will recoup their participation fee in the projects through Washington State incentives and annual energy credits in less than four years and afterward will continue to receive energy credits on their utility accounts. All residential customers of Clark Public Utilities were eligible to purchase a piece of the Community Solar Project and shares sold out on the first day. Based on demand, three more projects were developed and shares for all sold out in less than one month. One share of Community Solar is equal to 1/12 of a solar panel and cost $100. Customers could purchase one share or up to 100 shares. • New electric generation capacity on the Eastern Shore bolstering resilience and reliability for the local electricity grid. Corbin Russwin has been making significant strides in environmental stewardship, so the time had come to bring their facilities in line with corporate policy through clean energy installations. But there was a problem – the selected site had difficult topography, with slopes as steep as 20% in some areas. The cost and time associated with grading the site could have stopped the project in its tracks, as no other site was available on the property. Fortunately, the EPC on the job was familiar with DCE Solar’s Modu-Rack I system. Because Modu-Rack’s ground mounted structures can accommodate varying depths of driven beam, helical pile, ground screws, expanders, and other anchors within the same array, Corbin Russwin was able to skip the expensive, time-consuming task of grading the site. The entire array was able to follow the contours of the site without changing racks, orientation, or overall configuration for the 550 foundations in the system. Considering that grading of the site, Corbin Russwin’s specified PV system would have cost $75,000, but Modu-Rack’s flexibility offset 50% of the cost of the racking system.